Right about now across our parts of New Jersey, there are thousands of New Year’s Resolutions playing themselves out. For most of us as individuals, our personal resolutions never take off. By mid- February, we have forgotten most of what we had promised ourselves and we slowly meander back to normalcy. It is important to note that most resolutions are tough to keep. Even the simple ones that involve exercise and food never quite make it out of the box. But for organizational leadership, these kinds of promises are different. 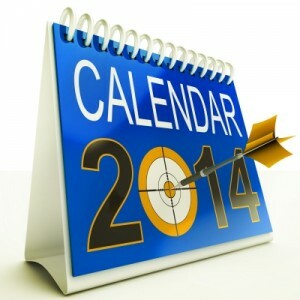 Leadership need good resolutions that promote employee engagement in 2014, and they need to keep them. Consistency: Leadership is often all over the board when making decisions and when problem solving. Evenness and stability often bring improved success and applying processes can bring better results. Planning: Definition and measurement are strategies that help change reactive decisions to opportunity. Take the time to improve forecasting and managing improvements. Learning: Be a student of the business and the industry. By learning something new every day, leaders and managers just get better. Realism: The economy does not change overnight; level-headiness is a key driver for both change and success. Ethics: Leaders must improve in one very important facet; keep doing things right. Honesty and trust are hard work and hard earned. Both organizations and management need resolutions. These promises for improvement often promote relationships and the correct expectations. And these resolves need not be just an annual commitment. Monthly, weekly, and even daily promises to change and improve organizations help support the corporate mission and create the environment of success necessary for opportunity. The commitment to grow and involve employees is a continuous resolution that makes daily activities focus on success. And with that said, Happy New Year!